Sheetrock Repair Wall Ceiling Repairs Texture Work Pittsboro Siler Sity, NC and surrounding areas. If you live in Catham County and need Sheetrock wall ceiling repair or texture work call today. Free Estimates And No Job Is To Large Or Small. 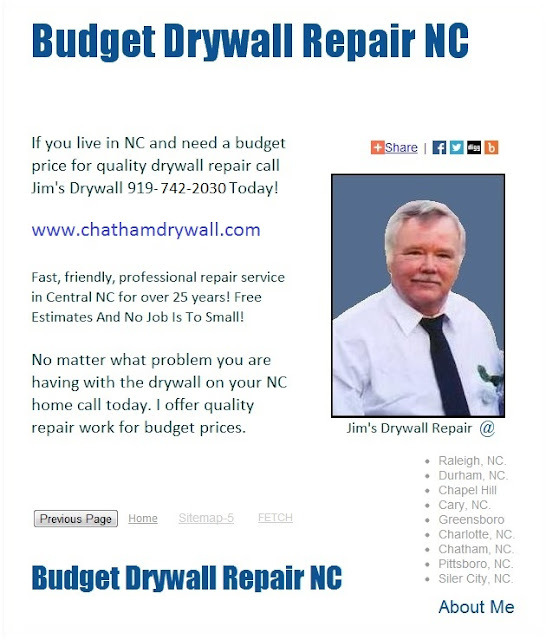 Sheetrock Repair Wall Ceiling Repairs Texture Work Pittsboro Siler City and Chatham County, NC and surrounding areas.